Let the Fire of Freedom Burn arouses the spirit of the revolution! Revolution instigated time and again at the junction of art and politics, demanding social change and opposing the post-Yalta division of the world, feeling close to anarchism and functioning, inevitably, as utopia. U-topia means ‘non-place’. Similarly, the call for freedom and justice that we are paying homage to comes as an international and supra-historical movement. It is above all an intellectual breakthrough, and one expressed by many. ‘The French flame of freedom has already burnt out’, complained André Breton in 1959 when — admiring the indomitableness of Thaw-era Polish intellectuals — he directed at them an appeal and a greeting from their Surrealist friends. Out of respect for the same attitude, expressed in Solidarity’s pro-freedom demands, also Joseph Beuys addressed the Poles, donating a series of works to them in 1980. Thus the two iconic representatives of the international avant-garde challenged the (political and art-historical) division into East and West. Breton criticised ‘indolent’ capitalism that discourages fighting for freedom, whereas Beuys dreamt of a Third Way between the extremities of capitalism and communism, calling repeatedly for handing power over to the people. At the 1972 Documenta in Kassel, he showed Overcome Party Dictatorship Now; in 1978, the Frankfurter Rundschau published his fiery Appeal for an Alternative. We signal Beuys’s symbolic visit with the Avant-garde Institute’s patrons Edward Krasiński and Henryk Stażewski with a worn hat he left at their place and a rose he wore during the Documenta in Kassel. 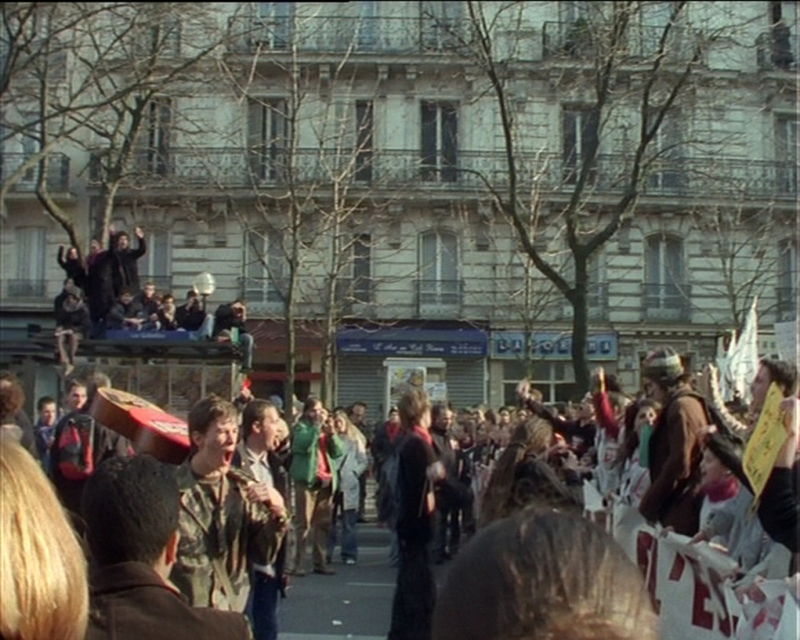 The respectable company is joined by Wilhelm Sasnal, who watches the 2006 student riots in Paris. Depriving the crowd of a voice in his account, he contradicts the typical dramatic representation of revolution. Aggression is reduced to mute gestures, embodying the ‘silencing’ by the system of those fighting for their rights. So Breton’s call remains valid! ‘Let the fire of freedom burn’ is an appeal one can respond to today by critically perceiving one’s environment and living conditions. The fire of freedom is not just a vain hope for a better tomorrow for everyone. It is also permanent action based on the power of reason and passion.